An Indian wedding is not just a ceremony; it is an extravaganza that has a lot more to add other than the conventional rituals. 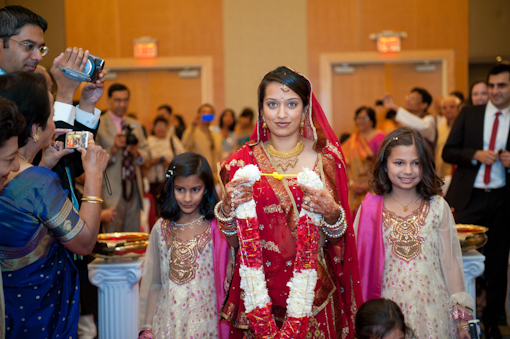 The highlighted part of an Indian wedding definitely has to be the entrance of the bride. The beautifully decorated wedding spot with the bridegroom waiting eagerly to catch a glimpse of his bride in her best can be complemented with the perfect Bridal Entrance song from Bollywood to make the aura more dramatic. As she makes her way with her bridesmaid towards her bridegroom and sit beside him for the marriage rituals. This ritual has become more profuse and classy at the same time, today. Here are a few of the most extremely fascinating songs for Indian Bride’s Entrance for an exotic touch, something you will remember forever!